Dogs eat grass for a lot of different reasons. Unless consumption is excessive and causing gastrointestinal distress, it is not really something to be concerned about. Here are a few reasons why your dog is eating grass that you should consider before you take any actions to stop it, and some practices and products that can help eliminate it. Dogs that do not get enough fiber in their diet are more likely to eat grass. For a very long time, grass has been an easy to access source of fiber when it is lacking in daily foods. Dogs that eat a lot of wet food and cooked meat can lack adequate fiber. A balanced diet can help prevent excessive eating of grass. Dogs are members of the canine family and that means that thousands of years ago they did not eat kibble or a man-made diet most of the time. Eating other animals meant that they naturally ate the contents of herbivore and omnivore stomachs. They also were more adapted to foraging and eating some plants as well. This inclination is still there in varying degrees. Older breeds of dogs may have more of a tendency to eat more grass and plants than others. 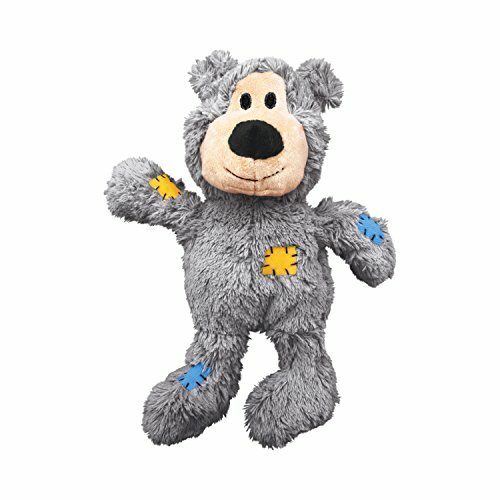 Sometimes dogs get upset stomachs and other issues. Before there was good veterinary care or even constant human companions, dogs were on their own in terms of treating illnesses. You might have noticed that your dog eats grass when they are feeling a little low or having stomach problems. They can sometimes vomit after eating a quantity of grass. Some theorize that the reasoning behind this is to purge their systems so they can feel better. Keeping your dog free of parasites can help prevent or even completely eliminate the urge to eat grass. Parasites can cause intestinal and stomach irritations that your dog may try to get rid of on their own terms. A de-wormer that is safe and gentle yet gets rid of all major parasites is recommended. 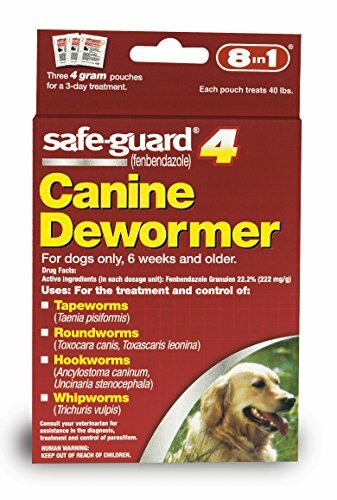 Some de-wormers such as Nemex only get rid of roundworms and hookworms whereas those that contain fenbendazole such as Panacur and Safeguard, get rid of all major classes of internal parasites including tapeworms. Scout likes Panacur and Safeguard because it is the most gentle pharmaceutical for getting rid of hard to kill parasites like tapeworms and does not cause any major side effects in most dogs. If an extra amount is given by mistake there is little chance of any complications unlike with some of the harsher worm tablets out there. The granules are easy to mix into a treat or food so picky pooches are easy to keep parasite free. 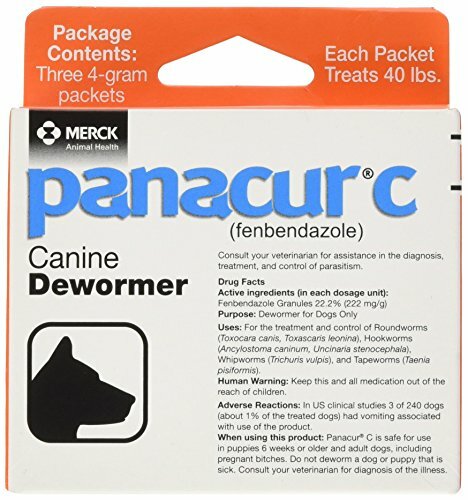 Both Safeguard and Panacur have been found to keep dogs parasite free for six months. Your dog may stay parasite free even longer depending on lifestyle and climate. Warmer climates tend to have more parasite issues and due to the longer worm season. Dogs are less likely to get parasites during colder months. Compulsive behaviors can stem from your dog being bored or lonely. Providing healthy chews and toys for them to play with can take away the urge to graze more. 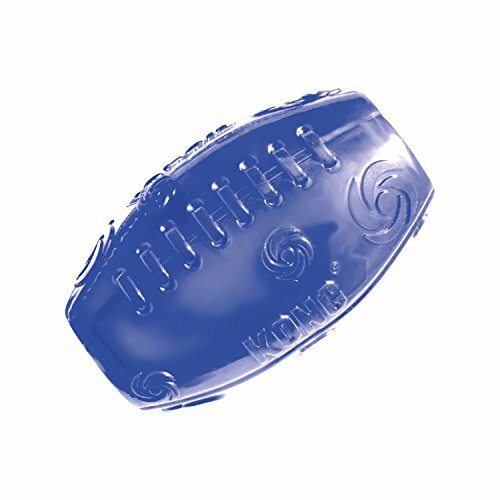 Scout is a fan of Kong dog toys because they have proven to be safe, are made in the USA under strict guidelines, and they come in styles that are suitable for puppies to senior dogs and power chewers! Your dog can easily get lonely if they are often home a lot and then you don’t spend time with them while you are there. It is easy to get caught up in the daily grind and not realize how lonely your dog is. If you have space, it can be easier to have two dogs or a dog and a cat then just a single pet because they can help keep each other company and entertained. As said before, gastrointestinal issues can be a major cause of grass eating. Adding probiotics and digestive enzymes to your dog’s food can help give them the support they need for healthy digestion and fewer occurrences of stomach upset. A lot of the higher quality dog foods out there already contain probiotics but that does not mean that your dog might not benefit from having some more in their diet, especially if they seem prone to more stomach issues than other dogs. 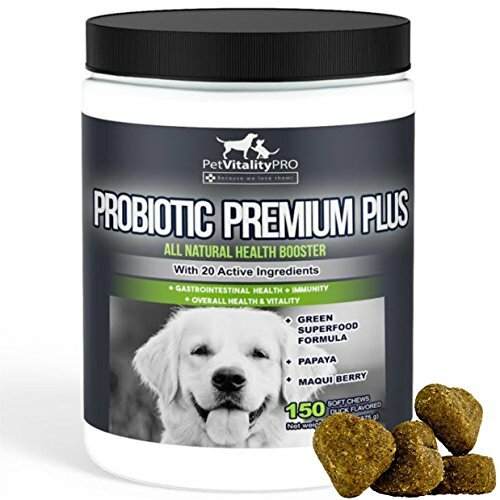 The great thing about probiotics is that they are safe to give your dog, even if they are on prescription medications, as there are no interactions. In fact, dogs that are on prescriptions may have fewer side effects with a good probiotic supplement. Tablets that contain grass and active compounds can help. 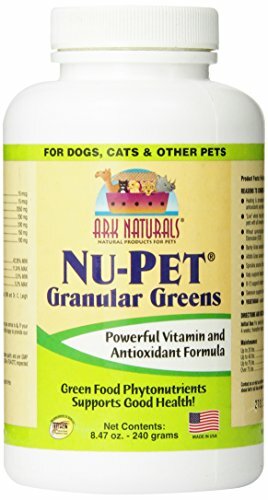 Check out Nu Pet Granular Greens top satisfy your dog’s grass eating urges in a healthy and easy to give way. 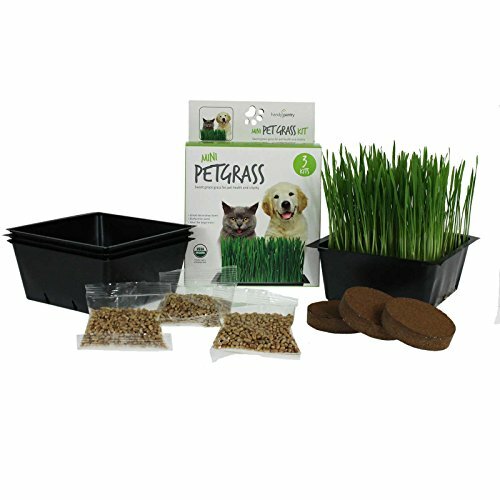 Wheatgrass is an example of a grass you can grow and allow your dog or cat to eat as a supplement. The kits are inexpensive and easy to grow. This is a good idea if you live in an area where you know that lawns are treated with chemicals or fertilizers that can harm your pets if ingested in sufficient quantities. Even small quantities of treated lawn grass over time could cause harm. Eating too much grass could be a side effect of another condition. If your dog is showing other signs of distress or not eating right then it is best to have them examined just to be safe. If they really are just eating a little grass here and there and you are feeding them a good dog food with adequate fiber and probiotics then it is likely your dog is just eating it because they like it or are experiencing normal occasional upset stomach like what you or I get if we eat too much or something too spicy!